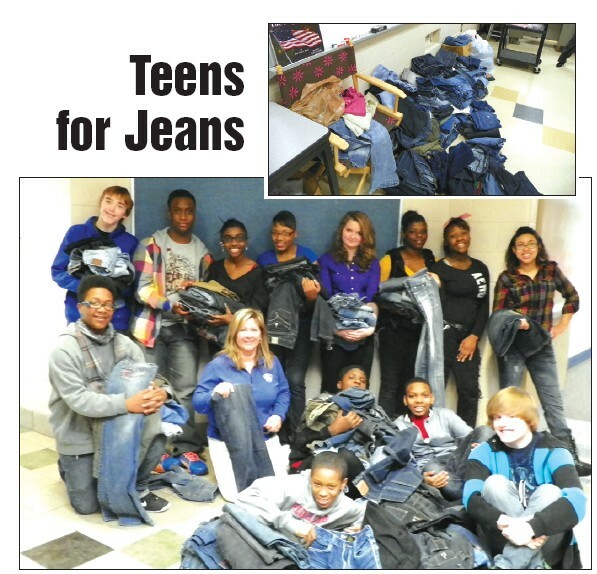 Students in Sandra Worthing’s advisory class at Carman-Ainsworth Middle School collected 219 pairs of donated jeans in only nine days for a community service project sponsored by Aeropostale stores. The jeans will be dropped off at the store to be given to area homeless teens. Several students in Worthing’s advisory class got involved by making posters to promote the event. Student council took charge of decorating and distributing donation boxes and promoting the event through bulletin boards.